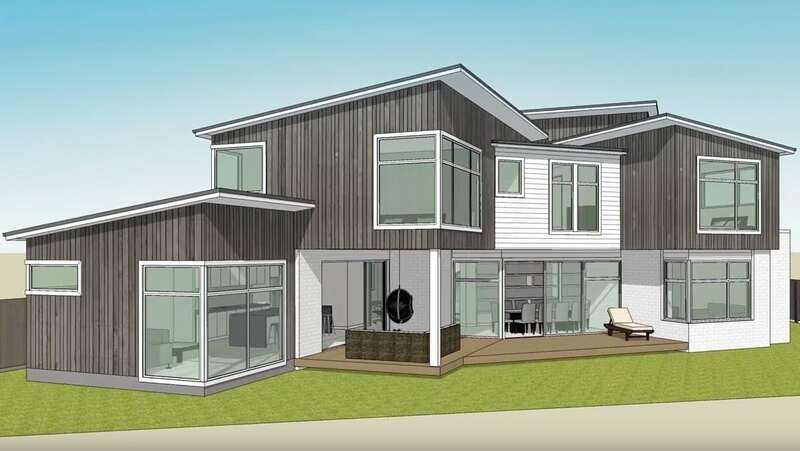 Waller Projects latest house design is a two story masterpiece on the beautiful Ambury Regional Park in Mangere Bridge. Designed by Waller Projects to high-end specifications, this will complement our existing award-winning homes. Designed for comfortable, luxurious living, this home will boast an entertainer’s kitchen with butler’s pantry and separate dining and living on the ground floor. There is great indoor outdoor flow as the home has large full length windows letting in the natural light, and opens up into the garden and patio from the kitchen. The second floor contains a large master suite, two more double bedrooms and a bathroom and a self-contained guest suite. With an exterior cladding comprising cedar weatherboards and rendered brick, this home is subtle and stunning in appearance. Take a walk through the home by viewing the 3-D animation here.